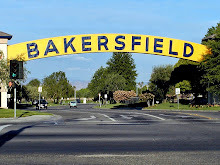 I spotted this picture making the rounds among cyclists in Bakersfield. 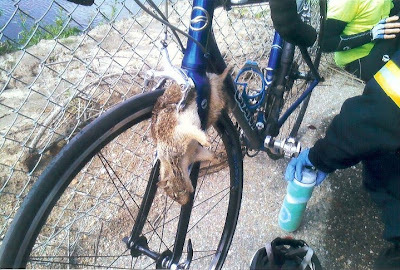 Posted on Facebook by the Finish Line bike shop, it shows what can happen if a squirrel runs across the bike path at the exact wrong time. 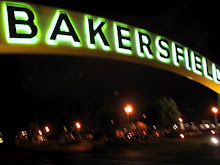 The unidentified cyclist went over his bars and was banged up pretty good. The squirrel didn't make it.